I am most grateful to Almighty Allah for giving me the chance to be the Rector of Syarif Hidayatullah State Islamic University (UIN) Jakarta. I pray to Allah that I have the capability to develop UIN Jakarta from the academic, scientific and quality assurance fields. I belief I can contribute to achieve the status of world class university too with the collaboration of all in UIN Jakarta. I lay my profound trust on all my colleagues and staff. This is an important institutional moment. Through which, we witness the development of our university; we celebrate academic achievements and outstanding efforts. 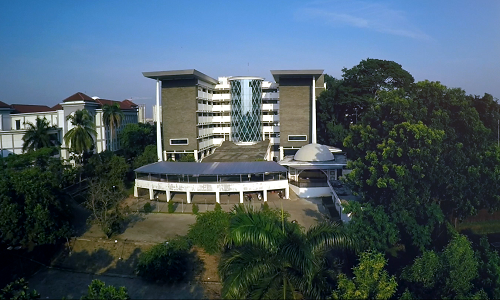 As the result, I can be here as the Rector of UIN Jakarta for the period of 2019-2023 in sha Allah. From my experiences in conducting cooperation with middle eartern and western universities, I will tie the world closer together in my university. We may form bonds with skilled scientists and scholars worldwide. We can celebrate individual and collective efforts that allow us to strengthen the global collegium of knowledge. Actually, I work now in a university that producing teachers, doctors, preachers, politicians, engineers and entrepreneurs. We are facing the era of industry 4.0. We even have careers we don’t know the names of yet– you will be making a vital contribution to society. There are two virtues closely tied to academia, namely prosperity and ambition. Firstly, our common society prospers when our common pool of knowledge grows, and secondly, ambition because academia must at all times be ambitious to make the world a better place. I will strive also to make all academic staff and academia prosperous by giving them chances to earn much form their activities and contributions in the University and many parts of the world. In contemporary debates, academia is repeatedly expected to cross new frontiers – whether they are geographical, physical, cultural or social. One of the most acute border crossings discussions concerns “the three O’s”: Open innovation, Open Science and Open to the World. Academic freedom and autonomy is the fundament of any university and to the very idea of a university. Today, we see a development which gives cause for worry. By some scholars, academia is perceived as a threat to some. The freedom of speech and the critical voice of scholars might be seen as a disruptive force, a threat to power, to social control or religious traditions. Now, it seems, this proud academic tradition is under pressure. Instead, knowledge seems to be perceived as a potential threat. To be heard and to make a difference, we must be open to the outside world. Alongside of you I will strive to ensure this openness at our own university as well as for others. For academia to flourish its seeds must be spread. For insight and development of knowledge, isolation is lethal; cooperation is vital. We must create a better world through knowledge and especially kindness, tolerance and trust. These are traits a sustainable societal order must be built upon. 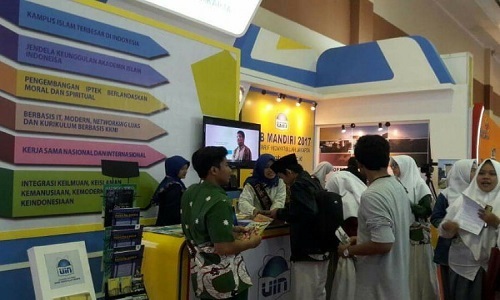 The UIN Jakarta must lead the way alongside other higher education institutions when striving for an even better future. The UIN Jakarta should be a gravitational force. We must pull other institutions of high quality and important stake holders towards us, not alienate them. We are going to be an important contributor for the coming generations, specially the millenial generation, and the society they will live in. I am pleased we do not stand alone in this task. How extraordinary the results can be when the search for knowledge is combined with the quest for what is the best for human kind. Finally, I want to provide my heartiest thanks to Minister of Religious Affairs and all the distinguished members of University Senate. Without their support, I would not be able to dedicate my efforts to this campus.